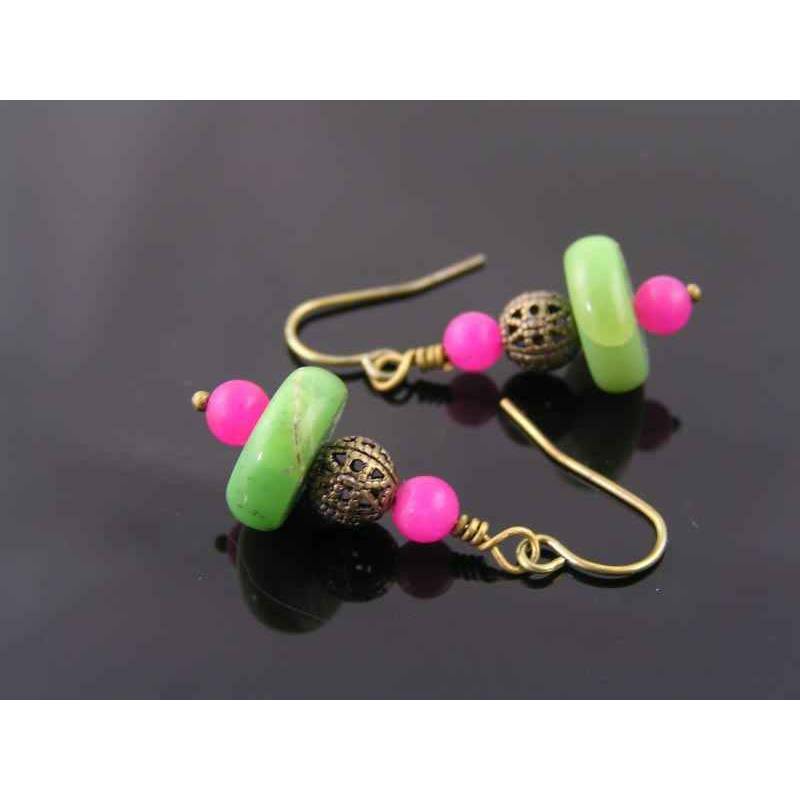 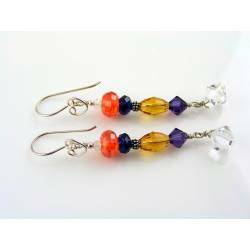 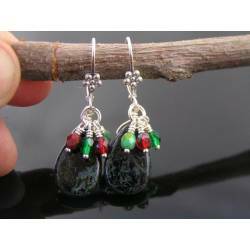 Shorter earrings with gemstones in a bright colour contrast. 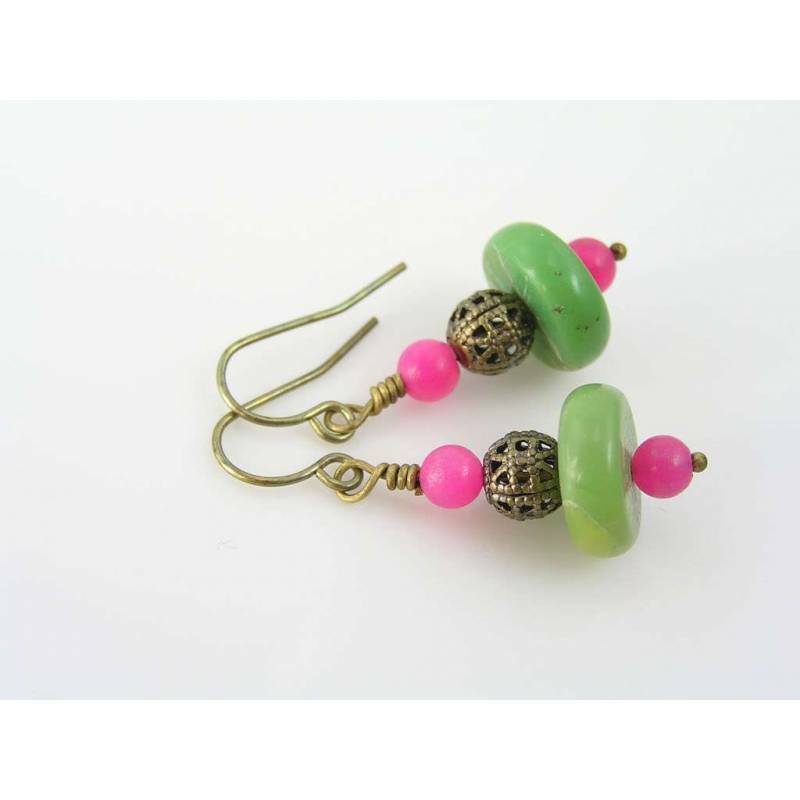 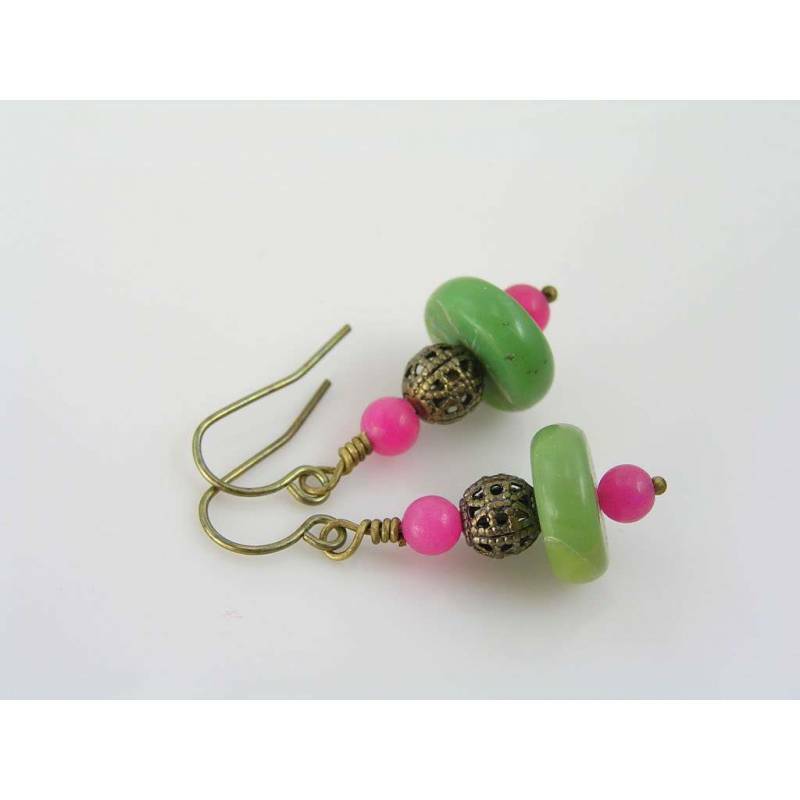 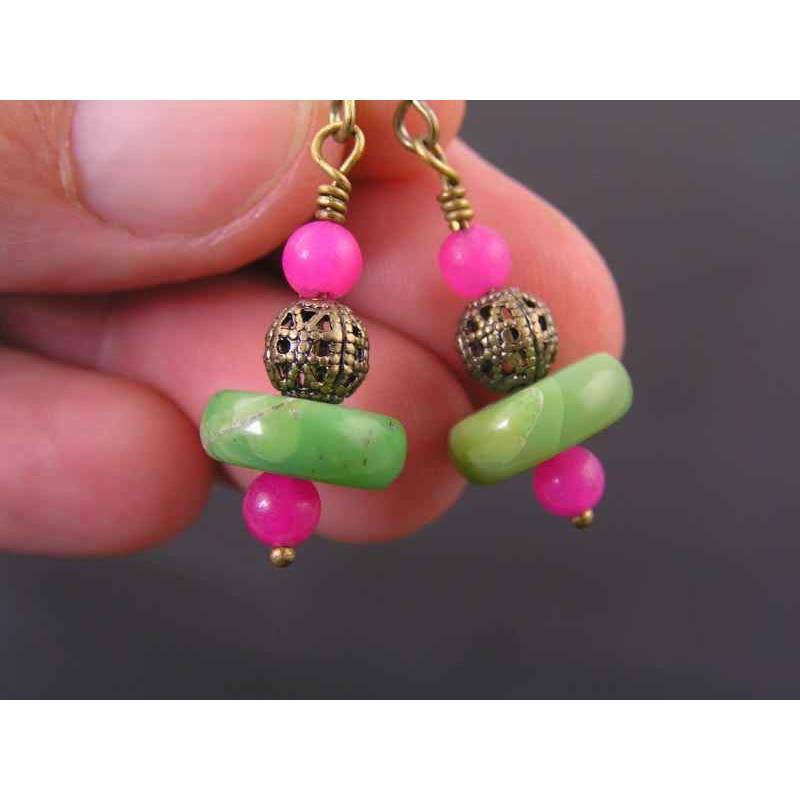 Large slices of genuine, grass green chrysoprase are framed by little bright pink jade beads and a filigree brass bead. 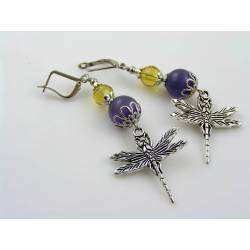 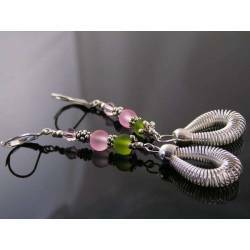 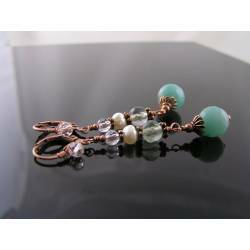 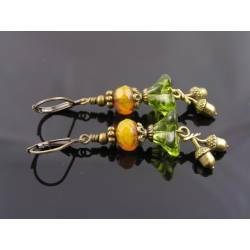 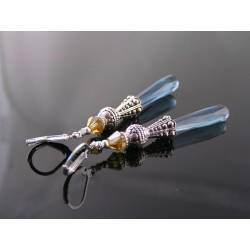 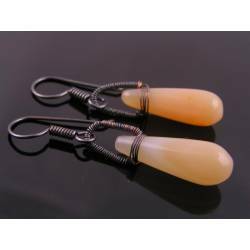 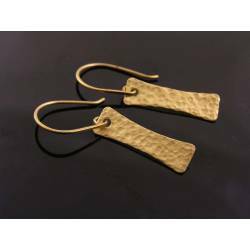 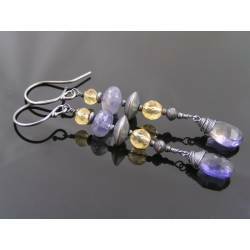 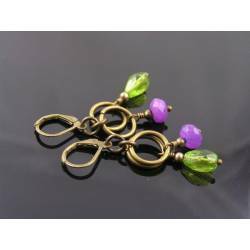 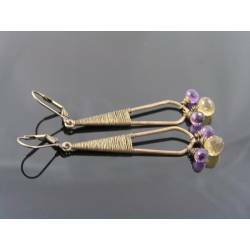 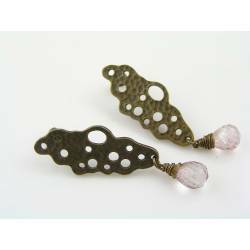 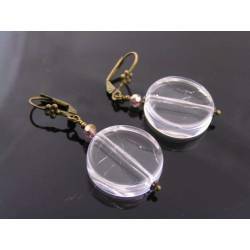 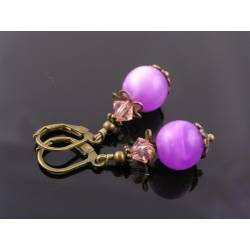 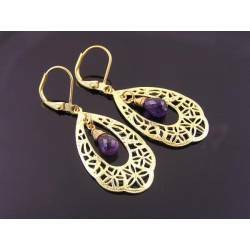 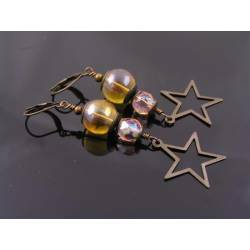 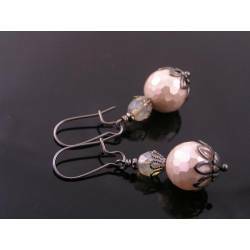 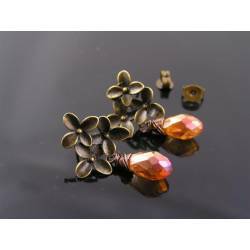 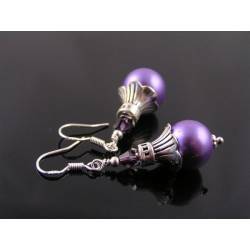 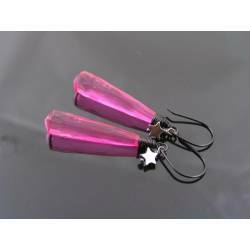 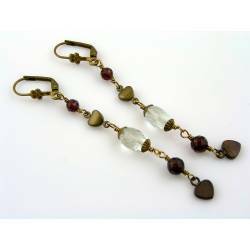 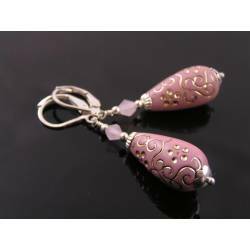 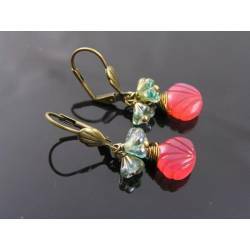 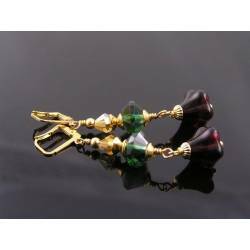 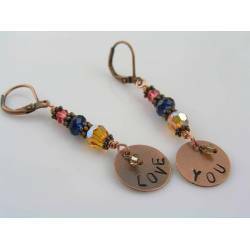 The earrings are attached to solid brass ear hooks and will come with clear rubber stoppers.